Green MEPs Eva Joly (France), Sven Giegold (Germany) and Molly Scott Cato (UK) informed journalists about the preparations of a report by the investigation Committee on the Panama Papers, which has been ongoing for several few months (see Background). The initial outrage provoked by the Panama Papers is over. Now that the dust has settled, a European Parliament committee will examine the case in detail. EURACTIV Germany reports. Eva Joly, the vice-chair of PANA, said there is a general willingness on the committee to move forward, but the group was in fact divided. 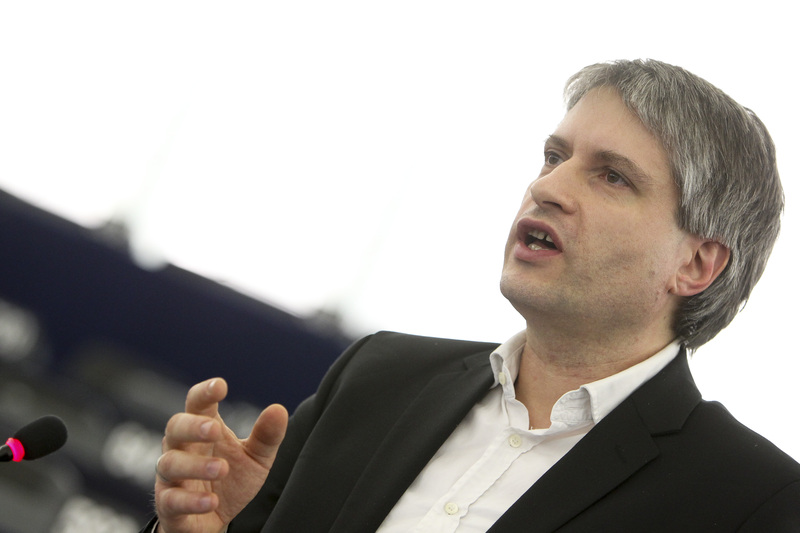 According to Joly, two EPP-affiliated lawmakers, the chair, Germany’s Werner Langen (CDU), is willing to take initiatives, while the coordinator, Poland’s Dariusz Rosati (SDP), is “making a lot of fuss” and didn’t want to entertain new commitments. “He doesn’t want us to have Juncker coming in front of us,” Joly said, adding that the coordinator did everything to prevent progress. According to Sven Giegold the main idea of an investigative committee is to find breaches to EU law or maladministration. So far the number of hard findings is limited, he said, but the reason is that the Commission and the Council have failed to deliver any substantive documents. “The [PANA] Committee is blocked by a breach of the sincere cooperation principle, which is enshrined in article 4(3) of the treaty, as well as in the inter-institutional agreement,” he said. Giegold said PANA has made very clear demands to the Commission on what documents it wanted, but what is missing are all the notes from the Commission on the implementation and the lawmaking of the anti-money laundering directive. This directive is now being reformed for the fifth time, and from its notes, it is possible to see which members blocked or supported stricter rules against money laundering. As the Panama Papers have shown, a lot of public figures have secret bank accounts and secret companies. As Giegold said, due diligence should have found that they do not deserve such services. “The big question is why did the Commission not act in order to make member states fully applying the law, and why did member states not make the banks fully applying the law”, he said. In order to prove what happened, PANA needs those documents. Giegold also said that the Council had already served the investigating committee with a legal opinion, in order to enforce non-cooperation, which he said is unacceptable. As the German Green MEP explained, Malta’s Minister for Finance, Edward Scicluna, refused to come to the PANA committee last week. Malta holds the rotating presidency of the Council of the EU. Giegold noted that the Maltese government is the only government in the EU in which some of its members were found to have established secret companies through Mossack Fonseca. 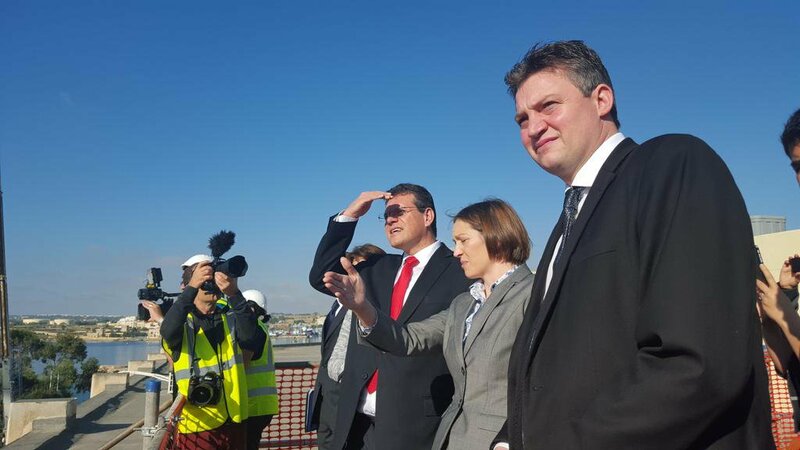 Maltese journalists and bloggers have found that the only minister from an EU member state identified in the Panama papers of clients of tax evasion schemes is Malta’s Health and Energy Minister, Konrad Mizzi. The Council has the same attitude with respect to the Luxleaks, while the EU blacklist of tax havens is being blocked by the UK, Luxembourg and Ireland, Giegold said. Another piece of legislation, the ATA-2 (Anti Tax Avoidance Directive) is being blocked mainly by the Netherlands, which is ironic, Giegold said, because the Dutch finance minister is at the same time head of the eurogroup, and should support common financial policies in Europe. Similarly, the Financial Transaction Tax (FTT) is blocked, and so is the Common Consolidated Corporate Tax Base (CCCTB), by a long list of member states. “Basically, everything that is at the moment in the pipeline on taxation is being blocked. Of course, it’s the usual countries against it, but have you heard an outcry from France, Germany, Spain? I missed it,” Giegold said. Molly Scott Cato said that the main agenda of US President Donald Trump was going to be tax cutting and that the EU would need to be ready to protect itself against the worst effects of that. She also said that the UK becoming a tax haven after Brexit is “not a bluff”. The UK will try to exploit the lack of EU unity during the Brexit negotiations, she warned. The UK Green MEP also said she is calling for “big fish” to stand before the European Parliament. 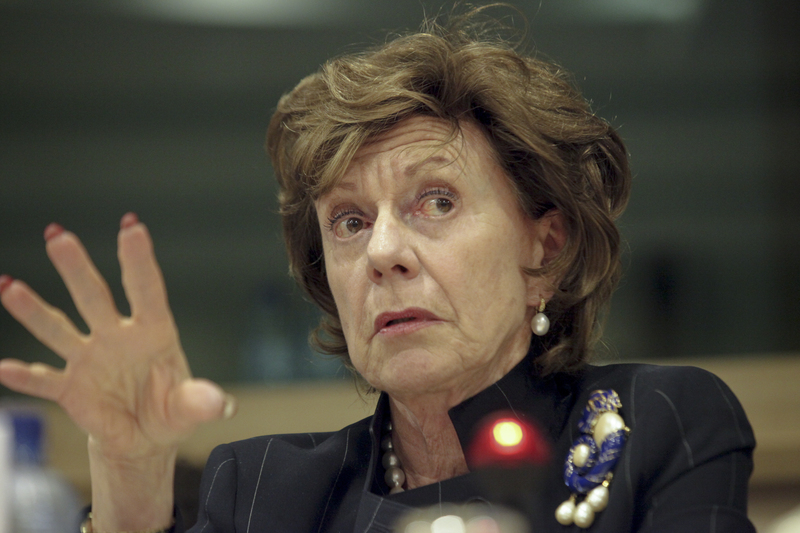 Former EU Commissioner Neelie Kroes, and the wife of Spanish Commissioner Miguel Arias Cañete are implicated in the Panama revelations. 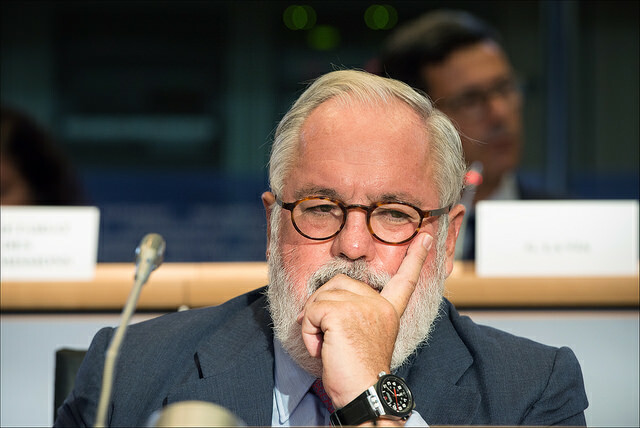 Commissioner Miguel Arias Cañete will have to appear before the European Parliament to respond to the accusations of his alleged involvement in the ‘Panama papers scandal’ and a corruption case in Spain. Scott Cato said she wanted them embarrassed, in front of TV cameras. Giegold said he wasn’t interested in such shows. Asked by euractiv.com how they felt about Commission President Jean-Claude Juncker, Scott Cato said that she and others appealed long ago that “he should go”. Gielgod said there are divisions in the group about that, and in his view and those of the German Greens, this was not the time to ask for his head. He made a distinction between what Juncker did as Prime Minister of Luxembourg and his current activity, which he assessed positively. In April 2016, two and a half terabytes of leaked data threatened to take down some of the most powerful companies and individuals on the planet. The documents that were made public shone a spotlight on the intricacies of legal and illegal transactions, made by, among others, FIFA officials, heads of government, drug smugglers and banks, which picked Panama as their hideaway for their financial transactions. On 12 July, the committee tasked with carrying out this task, given the moniker PANA, met for its first meeting. PANA’s official mandate is to investigate whether EU law was broken by anyone mentioned in the Panama Papers, including tax evasion, tax avoidance and money laundering. This will mean a certain amount of self-examination, as it will have to be firmly established what is and what is not allowed under the EU’s mass of tax law. Additionally, the committee will have to establish which member states have not transposed EU regulations into national law, thus allowing tax fugitives to carry out their illicit practices. The committee is composed of 65 members and they have been given 12 months to carry out their work. If needed, a three month extension can be granted up to two times. In the end, a final report will be published in order to summarise the committee’s findings.